Sun., Sept. 24, 2017, 9:37 p.m.
During hours of meetings on Saturday discussing how to best respond to something they felt had to have a response – comments by President Donald Trump on Friday criticizing the NFL and players who have been protesting social inequalities during the national anthem – the Seahawks decided that whatever they did they had to do together. 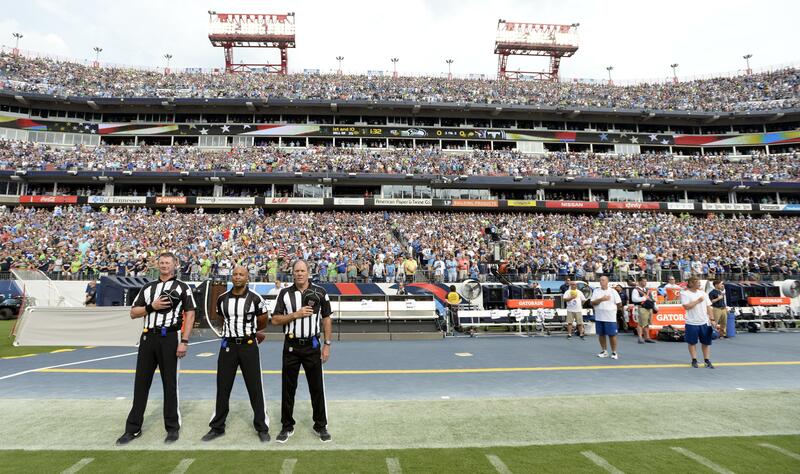 The Titans also did not take the field, making it the only game where neither team was on the field for the anthem – Seattle and Tennessee players had spoken Saturday and knew the plans of each other. Sherman said many ideas were batted around in what he estimated were at least 3 1/2 hours of talks on Saturday, including kneeling with a flag at half-mast. Sherman noted one reason the team decided not to come out for the anthem is that it used to be the norm –players were typically not on the field for the anthem prior to the events of Sept. 11, 2001. Published: Sept. 24, 2017, 9:37 p.m.